A photo of your current read & drink | You can take a few shots if you’re feeling artsy! A quick and fun Q&A | About your book/bev, yourself, and some book favs & recs! That’s it! Pretty simple, right? If you show interest in the feature, I’ll send you the questions to answer and you can send your responses back with your photos. No need to fill out a form any more! Just fill out the feature’s questions below and email back to me with your photo(s)! I’ll confirm back to you when the post will be going up so there’s no waiting on me to assign you a date first! And just in case you missed an installment of Book and a Beverage, here are the amazing bloggers and authors I’ve hosted so far! Kathleen from Books, TV, and More... Oh My! Kelley from Oh, the Books! Saru from To Read or Not To Read? Tara from The Librarian Who Doesn't Say Shhh! 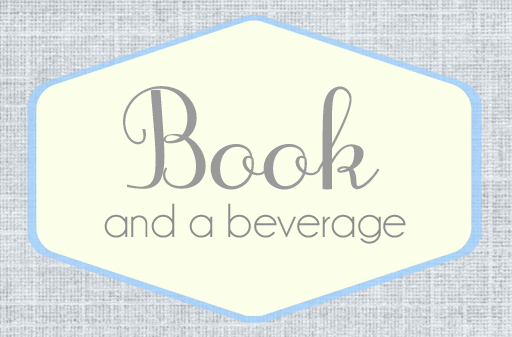 Want to see who’s coming up on Book and a Beverage? Check out the official calendar below! Holy moly! I had no idea you’d done so many of these. I guess it shouldn’t surprise me…you’re kind of a veteran blogger 🙂 Glad to see that a good tradition is still going strong!